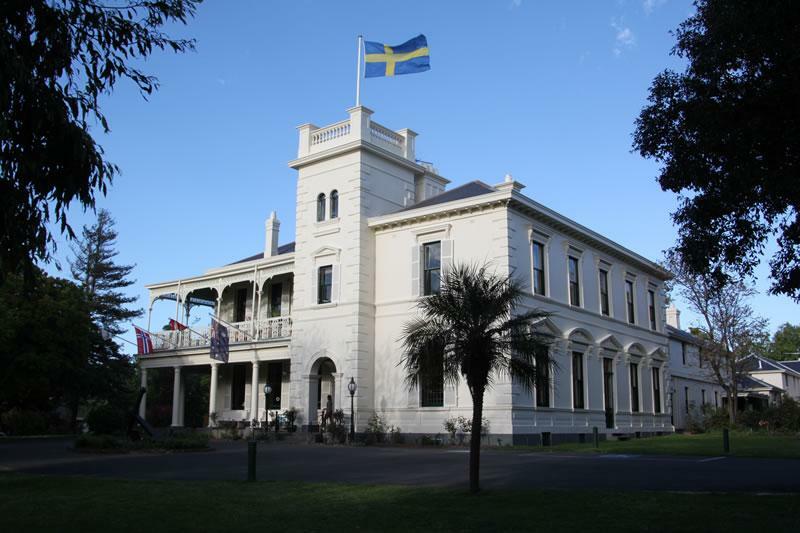 Toorak House is one of the oldest surviving mansions in Victoria, and is currently home to the Swedish Church in Melbourne and a vibrant hub for all members of the community with a connection to the Nordic countries. It was built for the Melbourne merchant James Jackson between 1849 and 1850. It was designed by Samuel Jackson in the Italianate Victorian style and was adapted to suit colonial requirements. The property initially comprised 148 acres (approx. 60 hectares) of land, stretching all the way to the Yarra River. In 1853, with Superintendent and Lieutenant-Governor La Trobe’s term of office about to expire, the search began for an appropriate official residence for the next Governor. As Jackson died in 1851, Toorak House was available and so was leased to the Victorian Government in 1854. The house was then used until 1874 by the first Governor, Captain Sir Charles Hotham KCB RN, followed by four of his successors. In 1867, during Governor Manners-Sutton’s reign, the Duke of Edinburgh was a guest at Toorak House. While visiting, he planted an oak tree that still flourishes on the grounds today. Special Programming: There will be a free concert immediately after the end of the building open hours on Sunday (at 4:00 PM). A Scandinavia acapella group call A Tempo will be singing songs from across the Scandinavian region. We will have a number of stalls selling Scandinavian inspired handicrafts on the veranda. The kitchen will provide soup as well as coffee and traditional Swedish cinnamon buns."